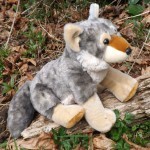 Each 12” plush Algonquin wolf is incredibly soft and guaranteed to evoke those warm and fuzzy feelings. You can either give the gift yourself, or have it shipped directly to the recipient of your choice. Please ensure pop-ups are enabled on your browser to donate using PayPal. 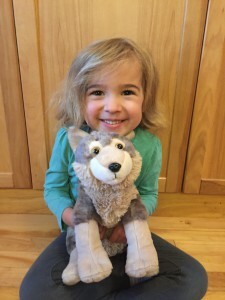 How do adoptions help protect wolves? Earthroots is the leading environmental organization m onitoring and working for the protection and recovery of threatened Algonquin wolves. Did you know that there may only be 250 adult Algonquin wolves left in the world? Researchers believe about 65% of the wolves and their habitat are found in Ontario, with the rest living in Quebec. We conduct research to identify Algonquin wolves in the Ontario wilderness and engage in the development of the provincial Recovery Strategy to ensure that these wolves receive more protection before it is too late. Learn more here.